EDMONTON - Alberta introduced new rules Monday to help clean up government, but opponents say the real test is whether Premier Jim Prentice's team will actually follow them. The changes are contained in Bill 2, the Alberta Accountability Act. They are intended to fulfil Prentice's leadership campaign promise to eradicate the spending irregularities and excesses that occurred under former premier Alison Redford. "Premier Prentice has made a firm commitment to create a new framework that would help all of us live up to Albertans' expectations," Jonathan Denis, the government house leader, told reporters. "Bill 2 sets the tone for this." The act changes how the government purchases goods and services and solicits sole-source contracts. The issue made headlines earlier this fall when Auditor General Merwan Saher reported that under Redford, the province broke its own patchwork quilt of sole-source contracting rules to deliver almost $540,000 in contracts to communications firm Navigator Ltd.
Saher said the Health Department and Redford's office didn't justify reasons why the Navigator contracts couldn't be put up for competitive bids and, in some cases, didn't check back to see if a contract was value for money. The money was for advice on health communications and for communications help and focus-group research following the disastrous floods in southern Alberta in 2013. Saher did not cite any irregularities by Navigator. Under the old rules, the government had to solicit bids for any services contract over $75,000. Under Bill 2, it must now get quotes for anything over $10,000. For construction work, the threshold for competitive bids drops from $100,000 to $50,000. The deputy minister, the top civil servant in a department, will now have to sign off on any decision to break the new contracting rules — say, in an emergency situation or if there is only one provider. The reasons for that decision will now be made available to the public. Navigator is a national firm whose leaders have close ties with the provincial Progressive Conservatives and have assisted with campaign strategy in the past. 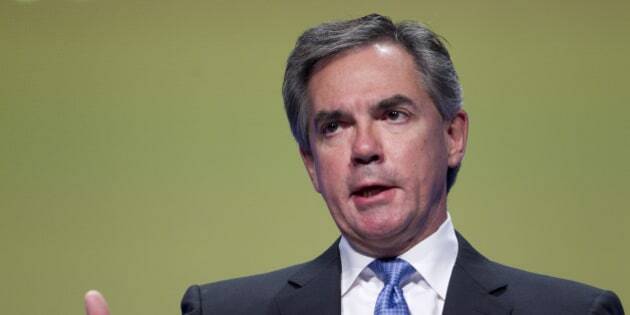 Prentice is friends with key Navigator executives but has said previously that Navigator won't be bidding on government contracts while he is premier. Bill 2 will also restrict severance packages for political staffers to a maximum six month's salary in high-end cases and no more than three months for anyone who leaves after less than a year. Exorbitant salaries and pay were a hot-button issue under Redford. Her chief of staff, Farouk Adatia, received a base annual salary of $316,000, and nine staffers pocketed more than $1 million in severance when they left the premier's office with Redford in March. Among other changes in Bill 2, the cooling-off period for political staffers who leave government will be extended from six months to a year. The rule will also apply to senior civil servants. Also, anyone lobbying the government cannot also be working for the government under a contract. However, Denis said it's still OK for some people in a given company to work for the government while others in the same company are lobbying it. Wildrose member Rob Anderson said the act looks promising but said stiffer rules don't mean a lot if they are ignored, as they were under Redford. Anderson said it's up to Prentice to prove his act will live up to not only the letter of the law, but the spirit of it as well. "That's the key, and obviously the jury is still out on that," said Anderson. NDP Leader Rachel Notley said the act fails because it focuses too much on political staffers and not on politicians. "(The act) fails to inject ethics and accountability back into the government benches," said Notley. Redford quit in March as premier amid reports of a party and caucus revolt over the spending. Saher found that Redford used government planes for personal trips and even flew her daughter and daughter's friends around. Prentice is currently selling the government's four-plane air fleet and says the government will now use charter planes or fly commercially.